Minions march across some. Others sport butterflies and bats. Dagger points topped with crystals are not uncommon either. And now there is morea��for lovers of nail art, the newest player in town is offering a choice of over 140 gel lacquers and 360 regular lacquers, besides gel extensions. a�?I promise you, you will be spoilt for choice,a�? says Rokhini Rajkumar, owner of the one-day-old Nail Culturee, an exclusive O.P.I and Baehr nail bar and salon in T Nagar. Specialising in Asian folk art, 3D work and even piercings, a�?there are very few nails salons in Chennai (like Bounce Style Lounge and Vermilion Nail Bar) a�� we are the only focus O.P.I salon in the country, bringing the expertise of the world leader in professional nail care,a�? says the MBA graduate, who gave up her job in human resources in Kuala Lumpur to pursue her passion. The 700 sq ft space has three plush pedicure stations and two nail barsa��themed on the colour scheme of a French manicure, but with pops of bold maroon for some added drama. Armed with a post-graduate certificate from the O.P.I Academy in California, Rajkumar has curated a menu of over 50 manicures and pedicures. a�?While O.P.I has basic services like tan removal and aromatherapy, Baehr, a luxe podiatric brand from Germany, will address more focussed problems like calluses and cracked feet to the speical care required for people with diabetes,a�? says the 30-something. A service will begin with a detailed 15-minute consultation, where they will analyse your skin, cuticles and your work routine before recommending a service. Since Rajkumar feels her premium services may not fit everyonea��s budgets, she is also planning to launch a mid-level nail salon, Entity by Nail Culturee. a�?Entity is a brand from US-based company, Hands and Nail Harmony. We are its official distributors in the country,a�? she explains. 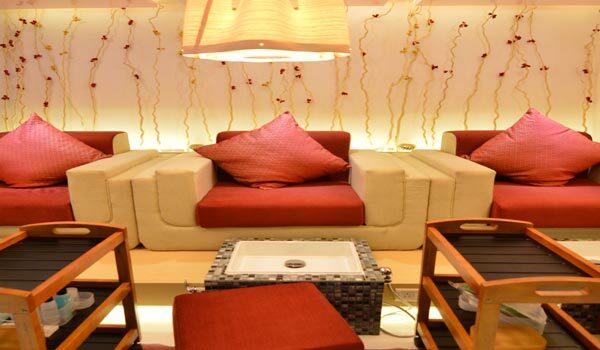 The next few months will also see Nail Culturee opening more branches in the city. But for now, a special treat. a�?Every Friday to Sunday, we offer Colouroscopea��a free service where we will paint your nails with your lucky colour (based on your zodiac sign),a�? she concludes.